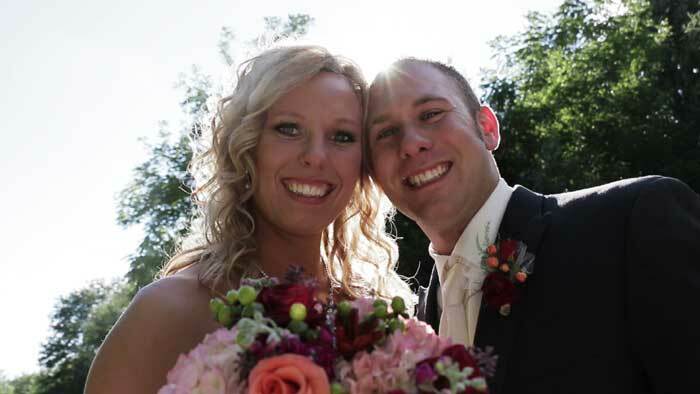 Weddings – CAPTURE THIS VIDEO PRODUCTIONS – Tony Digmann, professional videographer / cinematographer. Serving eastern Iowa (IA) including Dyersville, Dubuque, Cascade, Cedar Rapids, Waterloo, Cedar Falls, Iowa City, & Davenport. Wedding, Business solutions, and much more. Thank you for considering Capture This Video Productions to capture your special day. With a BA degree in video production and experience capturing dozens of weddings since 2010, we are pleased to offer our services to produce a wedding feature of you to enjoy, treasure, and share for decades to come! We are pleased to offer a number of services to help you capture and relive your special celebration. We are also happy to customize to offer your dream coverage, so please collaborate with us to design a video you will treasure for a lifetime! Contact us to check for availability and to tell us about your event. Testimonials from satisfied clients and sample videos are also available. For couples on a budget, we have a number of ideas to make your dream video affordable. We offer options from as simple as coverage of the ceremony and reception to full day coverage of the once in a lifetime wedding day and even more. We also have several enhancements such as engagement, save the date, rehearsal, trailer, credits, ceremony edited at full length, and reception edited at full length videos. Contact us for a full list of service and prices. We have the answers to your questions about wedding video coverage! What is unique about wedding videos? Why should you have your wedding experience recorded on video?